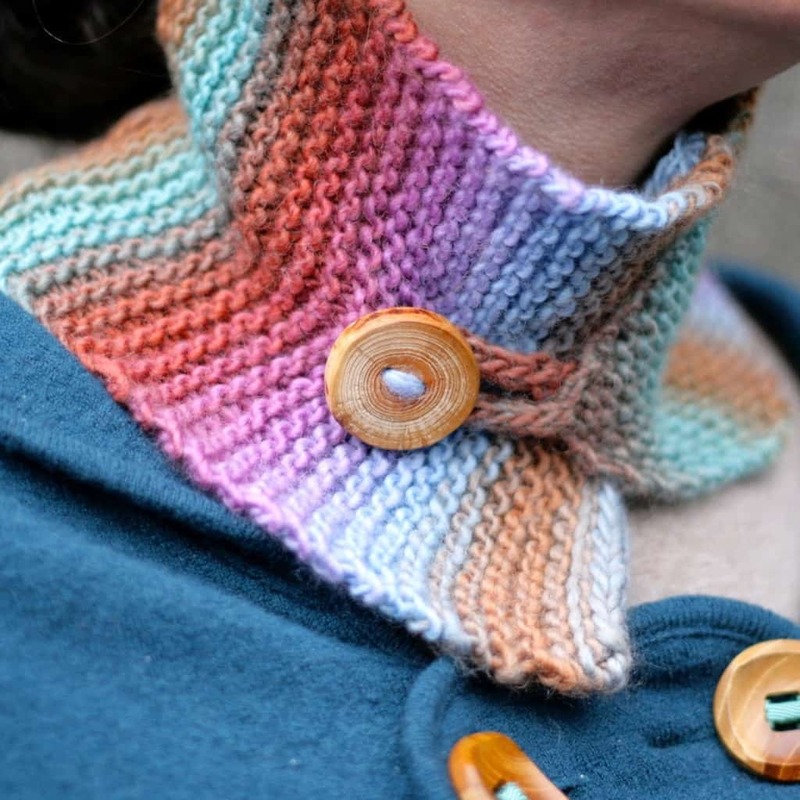 Take a wee bit of worsted (under 100 yards), a beautiful button, and a few hours and make this lovely little neckwarmer. Finished Measurements: 19.5” long, without I-cord, 5.25” wide. Yarn: approximately 90-100 yards of worsted-weight yarn. I used Crystal Palace Mochi Plus in Tropical Ginger. Needles: US9/5.5mm needle for flat knitting, or size needed to get gauge, and double points of the same size (for I-cord). Notions: one big (1.5″ or 2″) button, tapestry needle. Gauge: 16 sts = 4”/10 cm in stockinette stitch, measured after blocking.